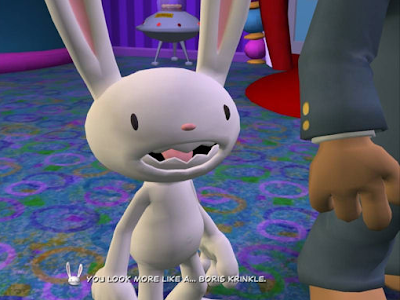 "You look more like a... Boris Krinkle"
Sam & Max tell Leonard Snakechalmer that he looks more like a Boris Krinkle. Leonard's model was the same model as Boris Krinkle in Telltale Texas Hold'em. In Telltale Texas Hold'em, Boris was told that he looks more like a Leonard Snakechalmer.